Not long ago, I explained on Facebook that it takes me about 45 minutes to feed my reef tank. Multiply that by three feedings per day, and over two-hours daily is spent on feeding alone. Reef keepers had a lot of questions, as to why I would spend so much time feeding. Some boasted that they use automatic feeders, and don’t have any time invested in feeding their tank. Others were confused about why a single feeding could take 45 minutes. I did my best to explain why feeding my reef took so long. 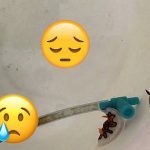 I reminded aquarists of the importance of feedings, and the role they play in daily tank observation and management. Photo courtesy of LRS foods. 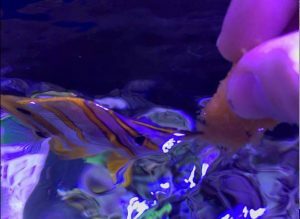 These fish are being fed LRS’ Reef Frenzy blend, presented on a common magnetic algae clip. Photo courtesy of Larry Dupont, Larry’s Reef Services LLC. Photo courtesy of Larry Dupont, Larry’s Reef Services LLC. 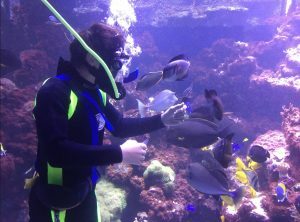 Hayden DuPont feeds a school of fish, in the 20k gallon + aquarium of Bill Wann. Photo courtesy of National Oceanic Atmospheric Administration (NOAA). Photo courtesy of Larry Dupont, Larry’s Reef Services LLC. Once fish become accustom to a feeding schedule, and food presentation, they often are eager to accept food. 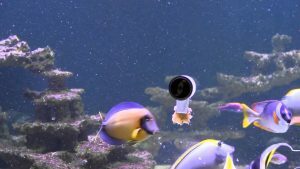 Many aquarists have automated their feeding routine, or wrap it up in under 10 minutes. They literally throw a food blend into the water, or stick frozen food to the glass and essentially walk away. Feeding time is often when problems with livestock can first be diagnosed. It’s an opportunity to visually inspect the health and vitality of your animals. Fish that often have a strong feeding response, then suddenly do not, are often teetering on the verge of illness, or extreme stress. 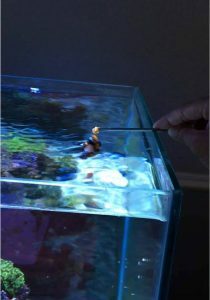 During feeding, you have a chance to interact directly with your aquarium. It’s a valuable time, that is also redundant in that it can be used to consistently (and daily) measure the condition of your tank. 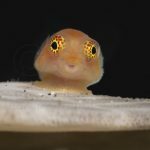 Variety is the spice of life: Frozen food blends are a valuable tool for feeding marine fish, and most have a few things thrown in for the tank’s un-seen inhabitants, including clean-up crews. However, marine fish need a varied diet, both for nutritional purposes and to be enticed to eat regularly. For example, I feed a mixture of 8-10 different foods to my aquarium system. It’s my belief that many marine aquarium fish are underfed, largely because aquarists are trying not to raise their water’s nutrient value. 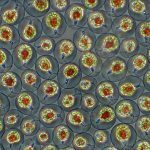 This lack of adequate nutrition, could be a catalyst for everything from short lifespans to consistent parasitic and bacterial infections. 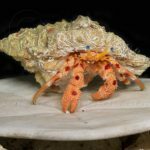 In addition to a varied diet of food-stuffs, marine animals need food fortified with amino-acids and vitamins. Probiotics are becoming popular these days, and LRS Foods adds probiotics to all their frozen blends. Lab tests show that probiotic infused foods offer promising results, when fed on a consistent basis. Photo courtesy of Larry Dupont, Larry’s Reef Services LLC. 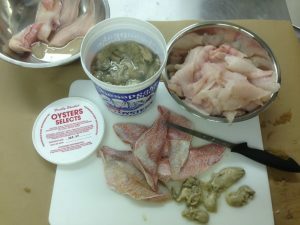 A good fish blend incorporates a host of different marine fare, into one easy to feed blend. It’s also important that you cater to specific species dietary needs. For example, any herbivorous fish (such as a tang or angelfish) should have seaweed available 24/7. Filtration, filtration, filtration: The more food you add, the more your fish produce waste, the more nutrients that end up in your water. This is a simple fact. 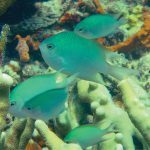 Years ago, it wasn’t uncommon for reef-keepers to profess a methodology that suggested only allowing fish to eat natural fare, found while scavenging the tank. Today, there is a host of filtration technology that allows for complete feeding regimes, and also maintains reef-level water. 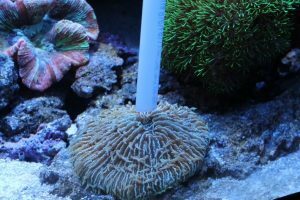 Protein skimmers are more powerful than ever, and aquarists should select one oversized for their tank. I often recommend doubling up on skimmer size. If you’re total system’s water volume is 100 gallons, select a skimmer rated for 200 gallons. Photo courtesy of Korallin Zucht. 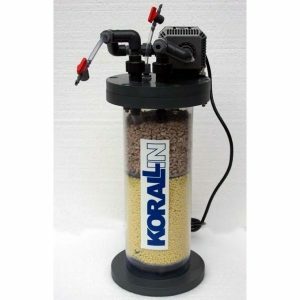 Korallin’s sulfur de-nitrator is a well established system that can produce nearly undetectable levels of nitrate, even in a heavily fed tank. One of the reasons I am an advocate for sulfur based nitrate reactors, is that they allow for heavy feeding, yet still maintain a nearly un-detectable nitrate level. These units aren’t difficult to use, and there are more on the market now, than there has been in the past. Unlike bio-pellets and other nitrate removal medias, sulfur based nitrate reactors never require a media change, or the addition of a carbon source. You can literally set them up, and forget about them. Ozone is a worthwhile expenditure for heavy feeders. 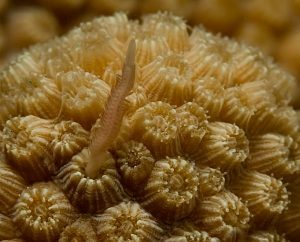 Many liquid coral foods, along with some fish foods (especially those with beta-carotene) have tannins within them, that can discolor tank water. Ozone breaks those tannins down, leaving water crystal clear. Photo courtesy of Reef Nutrition. 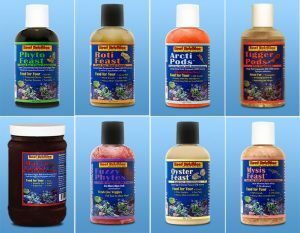 Reef Nutrition specializes in high quality coral and fish foods. My recommended fish food list is below. They are listed in the order to be fed, with 5 minute breaks in between each, to allow the animals time to consume the food. Dustin. I sent you an email.